According to the National Eczema Association, these resilient pests are among the most common eczema triggers, particularly in children. To keep rooms free of dust mites, consider getting rid of rugs, carpets, and window blinds because these easily collect dust. Clean the entire room thoroughly at least twice a week and wash curtains and bed linens once a week in hot water. If you can’t leave your beloved pets outside, train them not to loiter and sleep on chairs and sofas. Also, don’t let them inside the bedrooms. Regularly vacuum rugs, carpets, and upholstered furniture. Groom and bathe your pets regularly to reduce dander buildup. Avoid going outside for longer than necessary when it’s pollen season. If you really must venture outdoors, take a bath or shower as soon as you can to eliminate all traces of pollen from your hair, skin, and clothing. Keep your baths or showers short and use warm water instead of hot water, which can easily irritate eczema-prone skin. Use a hydrating and unscented cleanser. Pat your skin dry with a soft towel and apply moisturizer on your damp skin to seal in moisture. Opt for light cotton and loose clothing that’s gentle on the skin. Stay away from synthetic, wool, and polyester clothing that can trigger your eczema symptoms. Never wear clothing straight from the store and always wash new clothes to eliminate potential irritants such as dyes, dust buildup, and textile fibers. Opt for detergents that have a neutral pH and are fragrance-free. Double rinse your clothes after washing to make sure that you get rid of soap residue. Make sure to be careful with household cleansers as well. And if you really must handle harsh detergents, use thick rubber gloves to protect your hands. 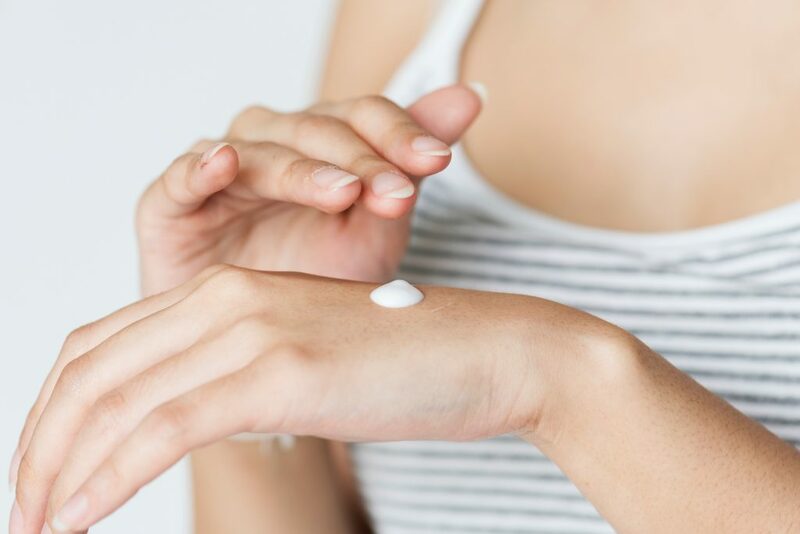 Cosmetic products that contain perfume, alcohol, preservatives, and lanolin are considered to be common eczema triggers, especially in individuals with very sensitive skin or those with compromised moisture barriers. That being said, make sure to read and understand the label before buying a skincare product. For instance, unscented usually means that the fragrance in the product has been masked, so it still contains a fragrance. Opt for fragrance-free formulations instead. Don’t forget to always patch test skincare products before incorporating them into your daily routine. In the end, keep a close eye on these common eczema triggers to avoid flare-ups. Remember, for your eczema management plan to work as expected, you have to be aware of your triggers so that you can address them even before they cause a flare-up.